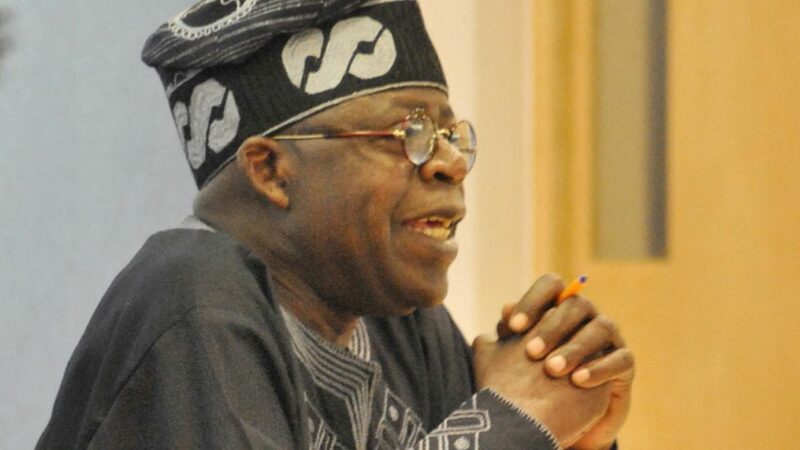 The National leader of the All Progressives Congress (APC) Bola Ahmed Tinubu has denied report that said he was working with the presidential candidate of the Peoples Democratic Party, Atiku Abubakar, ahead of the 2019 elections. This is coming few days after a member of the PDP Board of Trustees, Abba Gana had said Tinubu would work for Atiku because of his long-standing relationship with the former Vice President. “Only two days ago, he restated this position while speaking with correspondents at the State House in Abuja. He said the PDP could hold their meetings anywhere they liked and that Nigerians know who means well for them and is trustworthy,” Tinubu’s spokesman, Tunde Rahman, said in a statement on Friday. “Where the former FCT Minister, Abba Gana got his conviction that Asiwaju Tinubu would do otherwise is left only to himself,” he added. He also pointed out that Tinubu has had a relationship with Atiku but it is nothing different from the ones he has with politicians on his political journey. “Yes, His Excellency Asiwaju has had a relationship with former Vice President, His Excellency Alhaji Atiku Abubakar, just like he has had with many of other leaders in his political journey,” Rahman said.